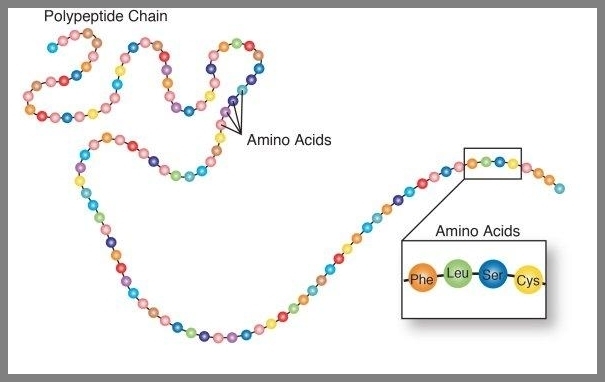 One of the principal unsolved problems of science is the problem of protein folding, the problem of how simple strings of amino acids (called polypeptide chains) are able to form very rapidly into the intricate three-dimensional shapes necessary for protein function. Scientists have been struggling with this problem for more than 50 years. 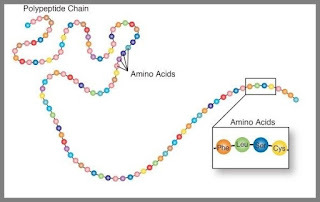 Protein folding is constantly going on inside the cells of your body, which are constantly synthesizing new proteins. The correct function of proteins depends on them having specific three-dimensional shapes. Last month the New York Times had an article suggesting that the protein folding problem had been solved. But this insinuation is not at all correct. Not only has the protein folding problem not been solved, but the most systematic assessment of progress on this problem suggests that scientists are light-years away from solving it. In DNA, proteins are represented simply as a sequence of nucleotide base pairs that represents a linear sequence of amino acids. A series of amino acids such as this, existing merely as a wire-like length, is sometimes called a polypeptide chain. But a protein molecule isn't shaped like a simple length of copper wire – it looks more like some intricate copper wire sculpture that some artisan might make. Below are two examples of the 3D shapes that protein molecules can take. There are countless different variations. Each type of protein has its own distinctive 3D shape. The phenomenon of a protein molecule forming into a 3D shape is called protein folding. How would you make an intricate 3D sculpture from a long length of copper wire? You would do a lot of folding and bending of the wire. Something similar seems to go on with protein folding, causing the one-dimensional series of amino acids in a protein to end up as a complex three-dimensional shape. In the body this happens very rapidly, in a few minutes or less. It has been estimated that it would take 1042 years for a protein to form into a shape as functional as the shape it takes, if mere trial and error were involved. The question is: how does this happen? This is the protein folding problem that biochemists have been struggling with for decades. It has been often said that when the protein folding problem is solved, scientists will be able to reliably predict the 3D shape of a protein from only its sequence of amino acids. But they’ve been stumped by one great mystery: how the building blocks in a protein take their final shape. David Baker, 55, the director of the Institute for Protein Design at the University of Washington, has been investigating that enigma for a quarter-century. Now, it looks as if he and his colleagues have cracked it. This claim in the article inspired computational biologist Mike Inouye to send out a triumphal tweet proclaiming: “Mind blowing...the protein folding problem is essentially solved.” But there is a very elaborate systematic methodology in place for determining the progress made so far on the protein folding problem, and that methodology is currently telling us loud and clear that progress on this protein folding problem is very small, with the problem being 100 times more unsolved than the New York Times has suggested. What is called the Critical Assessment of Protein Structure Prediction (CASP) is a competition to assess the progress being made on the protein folding problem. They have been running the competition every two years since 1994. You can read about the competition and see its results at this site. The first competition in 1994 was called CASP1, and the latest competition in 2016 was called CASP12. 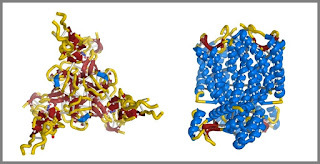 Particular prediction models are used to make predictions about the 3D shape of a protein. The competitors don't know the 3D shape, but only are given the amino acid sequence. 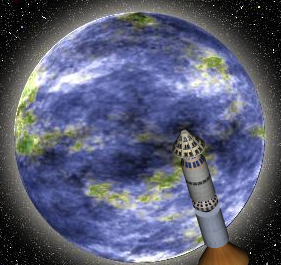 The competitors make their best guess about the 3D shape, using some prediction model that is often computerized. 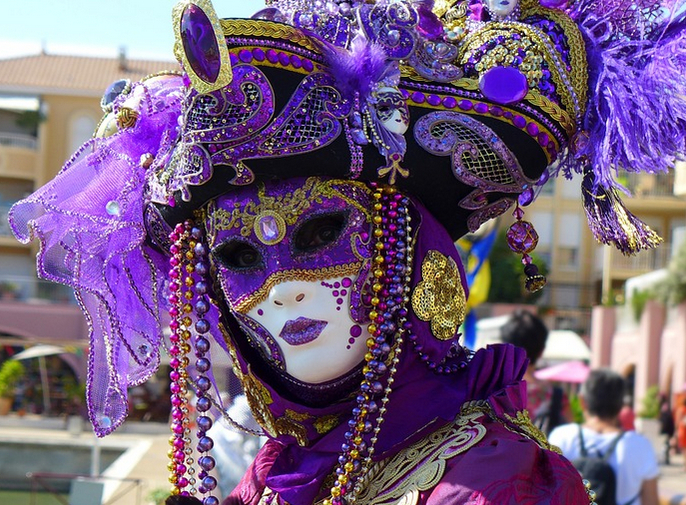 The competition is broken up into two categories, one category in which "template-based" modeling can be used, and one in which the predictions are supposed to be “template-free” approaches (also called de novo approaches or ab initio approaches). The latter approach is supposed to be not depending on a large database of proteins or a database of protein fragments (something that a cell doesn't have when a 3D protein shape appears). 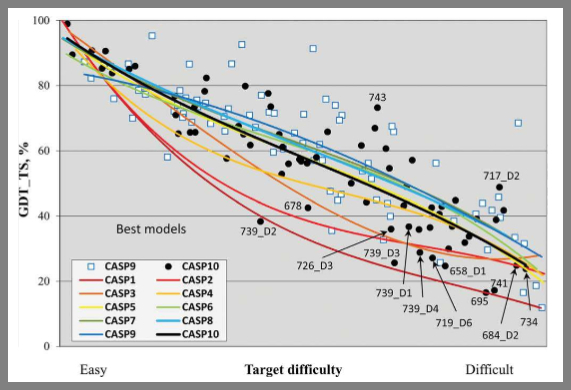 While looked at the CASP web site, I found the paper here, which gives a graph summarizing what kind of success level was reported in the CASP competitions up until the CASP10 competition in 2012. The graph is below. 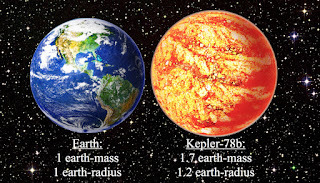 The GDT_TS shown on the left is something called the “global distance test,” a measure of how accurate a prediction is. A GDT_TS of 100 means a relatively accurate prediction, and a GDT_TS of only about 20 means a poor, inaccurate prediction. 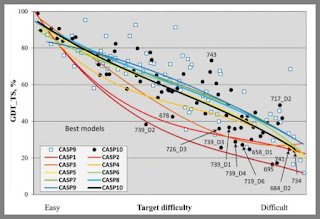 We can see from the graph above that the same failure has plagued the prediction models in all of the competitions: the models work well with simple cases (trying to predict the 3D shape of a protein with few amino acids), but do not work well with more complex cases (trying to predict the 3D shape of a protein with many amino acids). Moreover, it seems that while some progress was made between CASP1 in 1992 and CASP4 in the year 2000, little progress was made between CASP4 in the year 2000 and CASP10 in the year 2012. The paper here summarizes the results of “template free” protein-folding prediction in the 2012 CASP10 competition. This is the harder type of prediction, in which you are not supposed to use templates that are kind of patterns derived from studying many different cases of proteins. A cell itself does not use any such thing, so anyone claiming to have an explanation for how nature folds proteins shouldn't be resorting to such meta-data. cessful one submitted best models for only four of the 19 FM targets and eight of the 36 ROLL targets.” It also found that “Many, if not most, good models appear to have been produced by template-based modeling or the related technique of server model selection and refinement.” This amounts to basically an accusation of widespread rule-breaking that resembles cheating. This part of the competition was supposed to be for “template free” predictions, but many of the competitors used templates anyway (like some swimming competitor cheating by sneaking in some freestyle strokes during a breaststroke competition). Even with this rule-breaking resembling cheating, the prediction results were poor. Looking at the results from the latest and greatest competition in 2016 (CASP12), there seems to be no big recent progress. The page here shows the same type of poor numbers as shown in the graph above. The GDT_TS numbers are almost all very low. From this examination, we can see that the New York Times story has misinformed us by insinuating that the protein folding problem has been “cracked.” Nothing of the sort has happened. Scientists cannot predict with anything close to accuracy the 3D shape of a typical protein from the sequence of amino acids found in a gene. Scientists have been knocking their heads on this problem for 50 years, and seem to be stalled at a very low level of success, in which only the shapes of very simple proteins can be reliably predicted. The median size of a human protein is 375 amino acids, and scientists cannot predict the 3D shape of a protein with such a size. I may note that the small success that scientists have had in the area of protein structure prediction is based mostly on data-crunching techniques completely unavailable to a cell where protein folding occurs. The template-based approach involves pattern matching utilizing our knowledge of thousands of proteins. Even the techniques called “template-free” or de novo or ab initio do not live up to their original goal of being techniques using only the amino acid sequence. For these de novo or ab initio techniques also have a dependency on data obtained from analyzing many proteins, knowledge other than just the amino acid sequence. For example, the Rosetta technique makes use of a “fragments library” created by analyzing a large library of proteins. If scientists were to use the same knowledge limitations in a cell (having only the amino acid sequence and no other data), they wouldn't even be able to report the small degree of success in this area they have reported. We may describe protein folding as a miracle of nature beyond any real understanding of science. It is comparable to the miracle of morphogenesis, the development of a full human form from a fertilized egg. In both of these cases we see a mysterious ordering, a mysterious assumption of structure and form, that is inexplicable from what we know about biology, physics and chemistry. Contrary to the erroneous idea frequently suggested, DNA does not contain three-dimensional information specifying the body plan of an organism. Given the limitations of DNA and given the other reasons discussed in this post, the 3D structure of an organism cannot be expressed in DNA. Let us imagine that astronauts were to travel to some strange planet. On the planet they might notice a very astonishing thing: whenever the astronauts chopped down trees, and put the logs in a long row, the logs conveniently assemble all by themselves into log cabins. This would be an indication that something very dramatic was occurring on this planet: perhaps the action of some mysterious unseen force, one with signs of intelligence. A planet like this has been discovered. It is our own planet. The only difference is that rather than rows of logs conveniently forming by themselves into log cabins through some mysterious unknown effect, we see linear sequences of amino acids conveniently forming into three-dimensional protein shapes often much more elaborate than the structure of a log cabin. We should not at all assume that it is ordinary chemistry that produces this astonishing protein folding effect. If it were mere chemistry, the chemical rules producing such an effect would have been discovered long ago, and the protein folding problem would have been solved long ago. Just as astronauts witnessing this log-cabin marvel should suspect that some mysterious force with signs of intelligence was behind the marvel they were seeing, we should suspect that the marvel of protein folding is an indication of some great, mysterious reality of nature far beyond our ken – perhaps some mysterious life force involved not just in protein folding but also in the comparable marvel of morphogenesis, where a fertilized egg mysteriously progresses to the complexity of a newborn infant. DNA (which is essentially just a long set of lists of amino acids) has nothing that can explain either of these marvels. Recently people in Hawaii had a nuclear scare, as a false alert went out warning of an incoming missile. Those to blame for this event include a person operating a computer system, and the designers of the computer system, who made it too easy for such an operator to make a mistake. The incident reminded of the time I thought I was actually witnessing a nuclear bomb going off. I have lived through two different terror bombings of the World Trade Center in New York. The first occurred on February 26, 1993 at 12:17 PM. I had a 12:30 lunch date with the woman who was then my fiancee and is now my wife. The lunch date was in the Sbarro's restaurant on the ground floor of the World Trade Center. What occurred was an interesting illustration of how people will misidentify something they have never seen before, interpreting it as something they have seen before. Upon entering the World Trade Center, I saw a huge cloud of dust in its halls. The bomb had gone off a few minutes before I came in. At this time almost no one was thinking about any chance of terrorism in New York. So I did not at all think to myself: this must be a terrorist attack. Instead, I said something like, “Wow, I can't believe how careless those construction workers were – look at all the dust they kicked up.” Even with this huge cloud of dust in the halls, the food servers at Sbarro's kept trying to do their jobs. The police then told everyone to leave the building. The first bombing of the World Trade Center did relatively little damage. People kind of said, “Those clumsy terrorists – their attempts at destruction are a joke.” Only a few years later, the people at the company where I was working had the idea of moving to a new building, and they chose the World Trade Center, which would turn out to be a horrible mistake. It's amazing how everyone paid little attention to a threat that had been clearly announced by the 1993 bombing. I got into work at 7:00 AM on the morning of September 11, 2001, and took the elevator up to the fortieth floor of the World Trade Center. I was completely absorbed in what I was doing on my computer when the first hijacked jet liner crashed into the building. There was a very loud noise, and a tremendous jolt, like some giant hand was shaking the whole building. I jumped up to look out the window, and then immediately saw a huge fall of flaming debris. It looked rather like a huge chunk of the upper building was collapsing in flames. Terrified, I yelled at the top of my lungs, “Get the f*** out!” I then ran for the stairs. As I started to run down the stairs, I had a fleeting thought that a nuclear bomb had exploded. People had long feared that someone would sneak a small nuclear bomb into the city. What I had witnessed up until this point was consistent with a small nuclear weapon going off at ground level. My chances looked good after I had passed down a few flights of stairs. There was no one in front of me. Then I encountered some smoke on the stairs. I remember thinking: this is it, I'm going to die. But the smoke cleared as I passed down several floors lower. At some point I encountered lots of water pouring out into the stairway. But after passing down a few more floors, I passed through the part that was flooded. Eventually the stairs started to fill up with people exiting the building, and the stairways become clogged with people. The downward flow of people stopped entirely. I thought to myself: what could be causing the delay? It turned out to be a delay caused by people letting firefighters walk up the stairs. What went on at this time made no sense from a safety standpoint. No one should have tried to walk up the stairs until they had become uncrowded, so that as many people as possible could have exited. I will never forget the worried, tired look of the brave firefighters as they walked up those stairs. Many of them never made it out. Finally, after about 20 minutes, I got down to the ground floor. I was now in the elevator lobby of the World Trade Center. I looked in amazement at one of the elevator entrance doors. They were all charred and black, as if someone had torched them with a flame thrower. This could have been flames traveling down the elevator shaft. I made it into the shopping mall area of the World Trade Center, and was drenched by sprinklers that had been activated by the fire. Finally I made it out of the building. When I looked up at the top of the building, I saw a huge column of black smoke rising up from the top of the building. I walked home all the way from lower Manhattan to the Jackson Heights neigborhood of Queens. While passing around the Times Square area, I saw some giant TV screen showing the World Trade Center buildings collapsing. I was dumbfounded. I thought the buildings would last for a thousand years. I knew one person who died in the attack, a very smart young man named Scott. Scott first appeared on our work scene in a rather lowly position, but later I overheard him interviewing for a programming position in a cubicle near mine. I was amazed by what I heard – it was like he had an encyclopedic grasp of the technology we were using. I wasn't surprised at all when he was hired as a programmer, nor was I surprised when he started rising up in the company as a technical manager. Apparently he had risen rather high in the company by September 11, 2001, for he worked on one of the high floors of the World Trade Center where pretty much only the upper echelons worked. It was, tragically, a case of rising too fast and too high in the organization, because nobody on those highest floors of the World Trade Center made it out. They have made an impressive memorial to those who died in the World Trade Center attack. It is a beautiful and dignified monument. But in a book of alternate designs submitted for the memorial, I saw a design I liked a lot more. The design proposed a structure consisting of thousands of suspended bells, each with the name of a person on it. 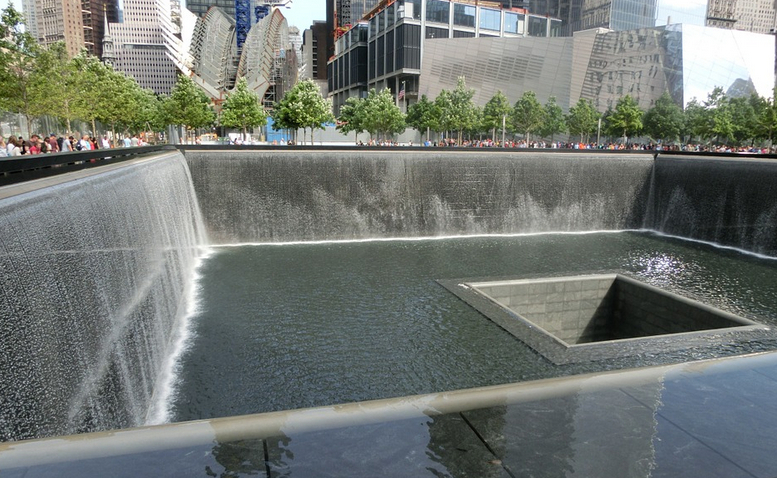 The great thing about such a design is that it could have turned the World Trade Center area from a place of sorrow to a place of joy – because children would have taken great delight in ringing all the suspended bells. Sadly, there is a substantial risk of another terrorist attack, perhaps one much worse than the September 11 attacks. The problem is that the materials to make nuclear bombs are scattered all over the world. If you are in a skyscraper, and you ever think a nuclear attack has occurred, don't look out the window like I did – for it could be a flash that could blind you. Instead, run for the stairwells, and try to stay there as long as you can, doing what they call “shelter in place.” The area inside a stairwell of a skyscraper offers excellent shielding against radiation. The radiation from a nuclear bomb would decrease by about 50% every day. So anyone willing to wait several days in a stairwell could then emerge into an environment with much less radiation. Postscript: Several months before September 11, 2001, I had a dream the World Trade Center was collapsing. In my dream I started out inside one of the WTC towers, and the floor underneath me gave way, and I began a long plunge. I told my wife the day of the dream that I had dreamed that the World Trade Center had collapsed. I have never had any other dream of a building collapsing. There is a certain viewpoint about US Presidents and military actions that cheerleaders for the President and the military like to present. The viewpoint is a kind of rose-colored viewpoint that is highly idealized. Below are some of the ideas that we might find in such a viewpoint. The President of the US always acts as a benevolent or fair figure who metes out kindness or justice to foreign nations. If a US president ever decides to take military action against a foreign nation, it is because he was forced into such an action, and such a nation (or people in it) deserved such a response. The US president never authorizes or continues military actions mainly or largely because such actions might benefit himself, his friends, or his party. Once the US military has been ordered to engage in military action, they engage in this violent activity with great reluctance, and take great care to minimize enemy deaths and civilian deaths. The military acts to keep any military engagement as brief as possible, and keep US soldier deaths to a minimum. The President of the US often initiates or continues military action largely for selfish reasons, to benefit himself, his campaign donors, or his political party – partially to make himself look strong or decisive or heroic, in a way that improves his election prospects, and partially to help corporate interests that may contribute to his re-election campaign. A US president may decide to order US military force when no such action is forced on him, and no such action is deserved by the nation that suffers from the military action. Once they are ordered into action, a very tiny fraction of the soldiers in the US military may proceed with excessive brutality, having little concern for civilian casualties. Rather than trying to minimize the damage and deaths in the country under attack, some untypical members of the military may attempt with relish to maximize such damage and deaths. In some cases, members of the US military may act to prolong or escalate a war, for doubtful reasons such as vengeance, achieving a more resounding victory, terrifying the enemy into subjugation, proving the prowess of particular weapon systems, or justifying the sacrifice of those already dead. Some untypical officers in the military may recommend particular attacks for dubious reasons such as winning medals, getting promotions, demonstrating their executive prowess, or testing their pet theories. Scientists are people who judge truth in the same disinterested and dispassionate way that judges or jurors consider court cases. A scientist's statements on a scientific question are always dictated entirely by the relevant facts, and such statements are not heavily influenced by the scientist's ideology or by selfish considerations having to do with the scientist's economic interests or career prospects. Scientists are very careful about only making statements that are warranted by facts and observations. When a theory gains popularity among scientists, it is always because a great mass of evidence has accumulated showing that such a theory is very probably true. Unlike people in religion, scientists do not believe on the basis of authority. While most of the assertions of scientists are well supported by observations or evidence, it is also very common for scientists to assert claims that are not well supported by observations and evidence, particularly speculative theories that have gradually spread among scientist communities through a kind of bandwagon effect, a social contagion effect. Scientists often describe as “science” or “scientific” doubtful claims that are not actually science in the strictest sense, because they have not been well established by observations or experiments. Because there are very strong financial and professional penalties for being a “renegade” scientist who disagrees with the majority on some topic, scientists are under strong peer-pressure to conform to community norms of belief, even when such norms are unwarranted. Conformism and yielding to authority are very strong factors influencing scientific assertions, with scientists being under great pressure to conform to the opinions of revered scientific authority figures, living and dead. There is great overconfidence and hubris among many scientists, who often claim to understand things they don't understand, partially because such assertions enhance their prestige or the prestige of their group, making it appear they have a topic mastery that is not actually possessed. There are many problems in current science practice, including excessive jargon and obfuscation, research results that very often are never reproduced, and excessive hype of marginal results. To do intelligent science journalism, a writer should at least occasionally take a viewpoint like the second of these viewpoints. Such a viewpoint involves some of the sociological insight that is needed for realistic analysis. But such a critical perspective is very rarely taken by our mainstream science writers, who seem to almost always be taking “looking up from under the pedestal” viewpoints toward the modern scientist. These pom-pom writers seem to act more like cheerleaders than journalists. Let us imagine a country in which the press reported uncritically the assertions of the government. In this country, each time the leader of a country stated something, it would be reported as gospel truth by the press. In this country when some group of government officials such as a Senate committee came to a decision, the journalists would report that decision as if it were something that could scarcely be doubted. And whenever a president wanted to start a war, the press would publish the White House spin without criticism. Now clearly in such a country the press would not be doing its proper job. The proper job of the press is to not to just report what authorities in power are saying, but to subject such claims to critical scrutiny. Thankfully we do not live in a country with a press that is a lap-dog to authorities in government. But we do live in a country where the press is pretty much a lap-dog to authorities in academia. Our science writers typically treat the pronouncements of professors with kind of the same reverence that North Korean journalists treat the utterances of government officials. To get the public interested in science papers that are written in prose that is typically rather boring. To get people to understand scientific progress that may be written up in some jargon-filled prose that is hard for the layman to understand. To subject the claims of science authorities to critical scrutiny, which may involve sometimes pointing out that the evidence does not back up the claim being made. To point out inconsistencies, weaknesses, implausibilities or unwarranted assertions in the claims of science authorities, whenever such things occur. But these two roles are hardly being performed by mainstream science writers, who seem to typically act like cheerleaders, like people no more prone to challenge the pronouncements of authorities than journalists in China or North Korea. Let us look at an example of how pom-pom science journalists failed to do their job. A scientific paper was published claiming to have produced evidence for memory traces in the hippocampus. Some mice were trained to fear an electric shock delivered in a particular spot. Then some fancy gizmo was hooked up to their brains, which supposedly delivered a kind of energy burst in some particular area of the brain where the scientists thought the memories were stored. The "fear freezing" behavior of the mice was reported as being different when such a burst was delivered, and the scientists reported this as evidence that parts of the hippocampus contain "contain memory traces for fear-inducing contexts." The results were produced testing a number of mice, but the paper doesn't tell us how many mice were tested. If only a few mice were tested, we should have very little confidence in the results. A mouse receiving a burst of energy may freeze not because some previous fear-training memory was activated by the energy, but because the mouse is responding to a novel, unexpected stimulus. The paper was based on judgments of fear-freezing in mice, which is a very subjective thing to judge, the type of thing where an experimenter bias could easily have crept in. The paper was experimenting with mice, but no such results have been produced with humans; so the result may not reveal anything about human memory. The result suggested by the experiment contradicts the result produced over many years of experiments by Karl Lashley, who did all kinds of experiments testing memories in animals after removing or damaging parts of their brains, and could find no evidence that any particular memory was stored in any particular part of the brain. The leading journal Nature published an article entitled “Brain-manipulation studies may produce spurious links to behavior,” pointing out that shooting energy into one part of a brain (the technique used by the paper) may cause other parts of the brain to fire off, resulting in unpredictable effects. The graphs of the scientific paper show only very small differences between the behavior of the mice that received the burst of energy and those that did not. After 10 or 20 tries, any experimenter could have probably produced such marginal results testing with a meaningless stimulus such as saying the word “Abracadabra,” because of mere chance variations. After describing the Star Wars depiction of the force, Hendricks says, “There is a name for this philosophy in real life, panpsychism.” But Hendricks errs. The depiction of the Force in the Star Wars movies is not any statement of the philosophy of panpsychism. Panpsychism is the idea that all matter is to some degree conscious. But the Star Wars idea of the Force is not an idea about matter. It is an idea about a cosmic energy. No one in the Star Wars movies ever makes the panpsychist claim that all matter is conscious, nor does any such character claim that any nonliving material thing is conscious. But that quote does not at all back up the claim that “every object in the universe appears to be able to interact with the Force,” an idea never presented in the Star Wars movies. To the contrary, the two quotes above (by Obi-Wan Kenobi and Yoda) tell us that the force is created specifically by living things, not by material things in general. In the Star Wars movies, the Force is associated with psychic powers such as telepathy and psychokinesis. The masters of the Force known as Jedi can influence the minds of others through thought suggestion, as Obi-Wan Kenobi does when he gets out of a jam by telepathically influencing the mind of a security guard. 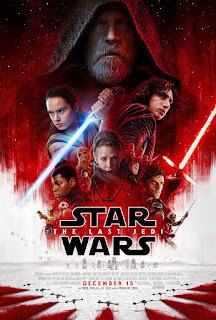 A Jedi can also sense distant important events by sensing a disturbance in the Force, as Obi-Wan does when he detects a “great disturbance in the Force” when the Death Star destroys a distant planet. A Jedi can even use the force to move objects such as a light saber. Someone can also use the Force to achieve things he could never normally do, such as when Luke Skywalker uses the Force to help him perform the difficult task of blowing up the Death Star. None of this has anything to do with panpsychism, and panpsychism is not associated with any claims or beliefs about psychic powers. Panpsychism has never been associated with any types of claims about a cosmic force, mysterious or non-mysterious. From the table below we can see there is basically nothing that panpsychism has in common with the Star Wars concept of the Force. Although the Star Wars movies tell us nothing about how the Force might relate to life-after-death, the movies hint that there may be such a relation. In Episode 4 we hear the voice of the deceased Obi-Wan Kenobi telling Luke Skywalker to “use the force.” In Episode 5 we see the ghost of Obi-Wan Kenobi appearing to Luke Skywalker. In Episode 6 we the ghost of Obi-Wan Kenobi, Darth Vader and Yoda all appearing to Luke Skywalker. Since these were all great masters of the Force, we can infer some relation between the Force and their post-mortal survival. Vitalism: Vitalism is the idea that there is some mysterious life force involved with all living things. This sounds a little like the claim twice made in the Star Wars movies that the Force is created by all living things. Spiritualism: Spiritualism is the idea that people survive death, and can communicate with the living. When the deceased Obi-Wan Kenobi communicates to Luke Skywalker in Episode 4 and Episode 5 of the Star Wars series, this is very much a fictional expression of the idea of spiritualism. Panpsychism is largely an attempt to help deal with the problem that there is no apparent reason why the neurons in a brain could ever generate a mind such as humans have. The panpsychist kind of tells us that such a thing is not so unthinkable, because every little neuron (and every other little thing) is a tiny bit conscious. The problem is that similar reasoning would lead us to believe that the boulders at the seashore or the trees in the forest have bigger minds than we have, since they have even more material particles than are in our brains. A better way to deal with the "How could minds arise from brains?" problem is to simply conclude: they don't. The claim that minds arise from brains has been asserted countless times, but never proven. There are good reasons for doubting such a claim, as you will sometimes read about on this blog.